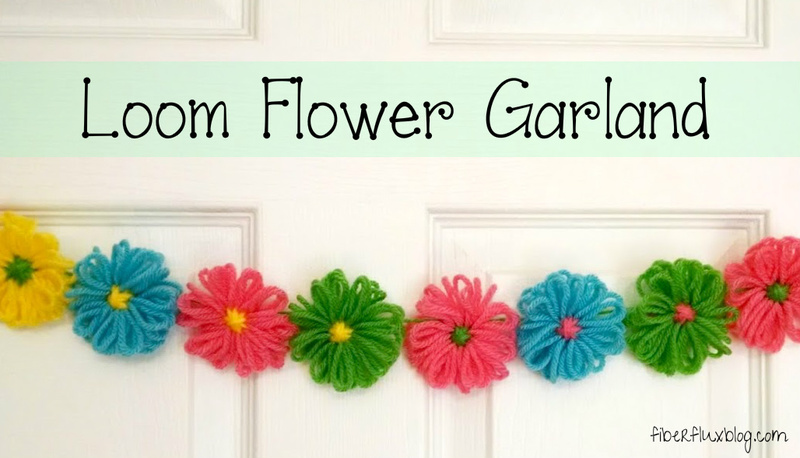 This pretty garland will add some cheer anywhere you hang it. 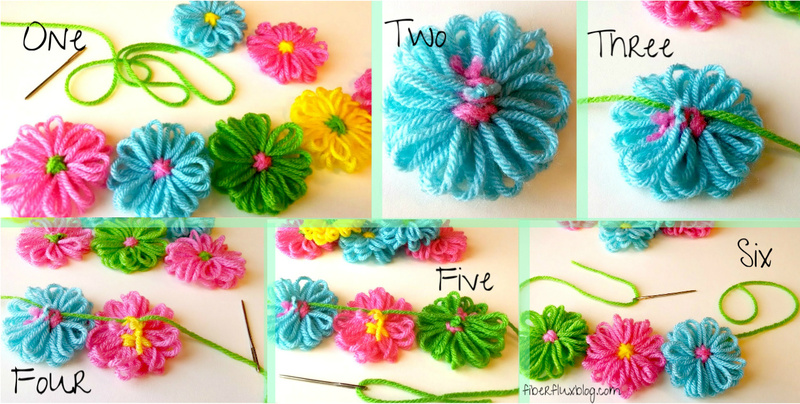 Yarny daisies all in a row are easy to make and use just small amounts of yarn too! Be sure to scroll down below for an instructional video on how to make the flowers and a video on how to assemble the garland. Next, cut a length of yarn as long as you'd like your garland to be, making sure there is some extra at each end for hanging. I used green yarn for a vine-like effect. Make a loop at each end or simply tie it onto something for hanging. Be sure to scroll down to watch a video on how to assemble the garland step by step too. All finished! So fresh and springy! That's so cute!!! I've looked at getting one of those flower looms before but haven't gotten one. Now, I just might! That garland is so sweet - you are right it will cheer up any corner of your room. These are so adorable! I'm going to have to order that loom from Amazon!